ISLAMABAD: A Pakistan Air Force spokesperson said on Monday that JF – 17 Thunder Jet fighters have been inducted into the PAF’s 26th Squadron. Pakistan’s JF-17 Thunder Jet fighters have been designed in collaboration with China but have been manufactured indigenously. The spokesperson said that the induction took place during a special ceremony at a PAF operational base. Pakistan Air Force chief Rao Qamar Suleman made an address during the ceremony and thanked the Chinese government for its cooperation in preparing the jets. He said Pakistan is in a state of war and the air force will do everything in its power to defend the nation. He added the 26th Squadron previously had A5 Jet fighters only and that the JF-17 Jets will also be soon inducted in the 16th Squadron as well. 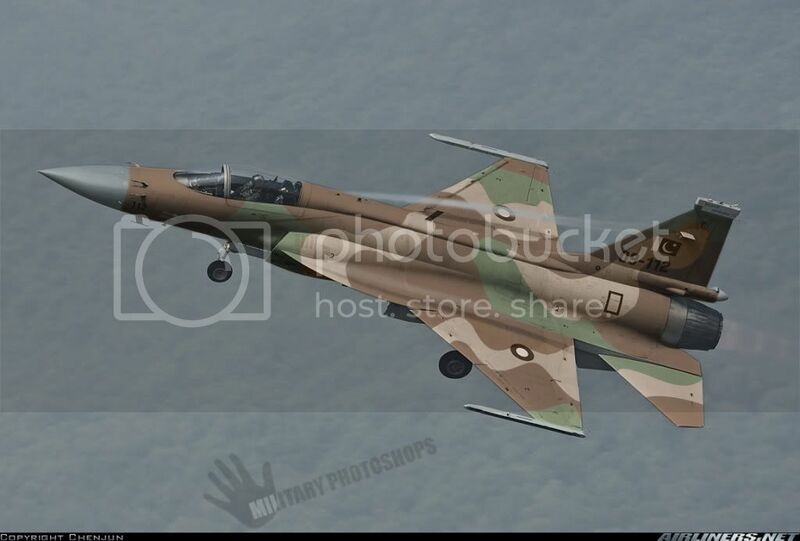 My earlier posts Featuring JF17 in Desert camo can be seen HERE and HERE.